Hacked Emails from GW Advocacy Group; "Hide the Decline"
The Student Collegian is doing more than the MSM. This is the work of the govt. It\'s going to end up like the ACORN investigation. That will pi s s a whole lot of people off. More and more of the cabals "colleagues" are coming forward. Thus, two of the three pillars of the global warming and carbon dioxide paradigm are open to reinvestigation.The damage has been done. The public trust in climate science has been eroded. At least a part of the IPCC 2007 report has been put in question. The truth is out there and you still do not see. Why would Jones step down if those emails are "made up" ? You notice all they have to offer is ridicule and angry rhetoric. They cannot defend this stuff so all they have left is to snarl in the corner and hope the truth will go away. One way to hide the decline in temps is to selectively choose which data you will use. The global warming hoaxers and fraud deniers would choose the bottom weather station, because it gives them exactly the kind of corrupted data they need. Here is a not-so-well maintained or well sited USHCN station. 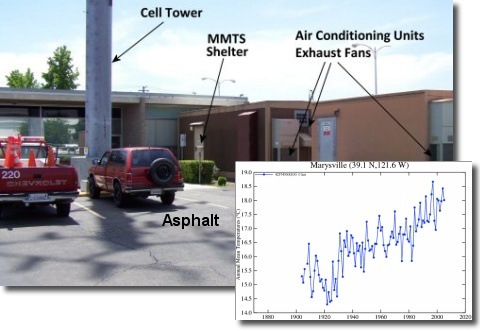 Obviously if you want to prove global warming you use the site with the blacktop, AC vents, and an encroaching city. Looks like the CRU is preventing access to data/reports that have previously been available. What’s going on? 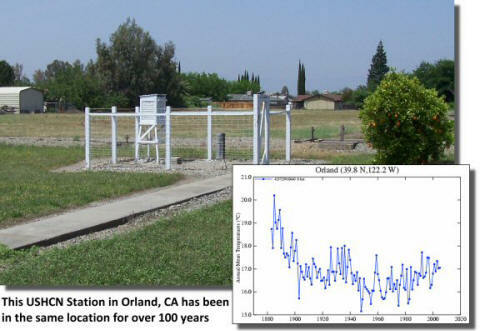 CRU takes down Briffa Tree Ring Data and more « Watts Up With That? Widely available data, existing in the public view for years, is now disappearing from public view. Now redirects to a generic page of UEA. Try it yourself. 30 years of climategate in the making....great poster.